Driving the king of the road and overseeing other cars from way up there is quite exciting. However, when you’ve been cruising for a while, the authority on the road, landscapes, music and going on long adventures gets monotonous. The white noise of the wheels and lack of excitement can be a hazardous combination that can cause road fatigue. All the sugary drinks and foods present at truck stops pose a health risk and only temporary burst of energy, after which a crash is inevitable. You are in luck, though! Some truckers have a few tips up their sleeves; they have shared over the years. These recommendations help you stay safe on the road. If you are sleepy, pull over when it’s safe and take a 20-minute power nap. Avoid trying to fight your fatigue to save time because it may lead to a more significant problem. Studies have revealed that having your body resting for even less than an hour can provide your body with much-needed rest. Fast food consists of salt, fat, and sugar that are bound to make you tired. Healthy energy food contains proteins and complex carbohydrates that will nourish your body with lasting stamina. Opt for 100 percent whole grains, vegetables, fruits and lean meat. Also, take Vitamin B and C, they will provide you with energy and absorb well with your healthy meal. Even after a healthy meal, continue to snack on healthy food while you are on the road, such as fruits and nuts. Sitting for extended periods of time can tire you out. You can get rid of fatigue by pulling over and stretching out your legs and arms. Physical movement will get your blood flowing and get your energy up. Your vehicle can also use up the time by getting a quick trailer inspection done. Music has a significant impact on your mood and energy levels. If you feel low, listen to some pumping tunes and sing along. If you’re not a fan of music, keep your mind occupied listening to the type of book that would interest you. It could be anything from an autobiography to a scary novel. Fresh air shocks your senses into alertness, giving them a temporary pump! This method can be used if you need help waking up and can’t pull over immediately. Even though you may not want to make stops frequently to use the washroom, you must keep yourself hydrated with water. Dehydration is an instant cause of fatigue. Avoid caffeine because it is diuretic and will make you want to use the washroom more often than water will. Caffeine also wears off causing a crash. You have to rely on good physical and eating habits to keep yourself awake during your long Hauls. Located in both Winnipeg and Brandon, Beaver Truck Centre is well equipped to offer your vehicle, top-notch services and parts for purchase, lease and rental. 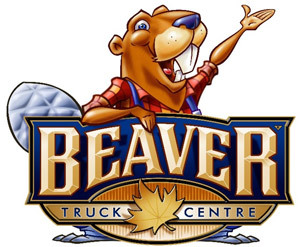 Visit their site and services at beavertrucks.com. You may also call them at 204-632-6586 (Winnipeg location) and 204-571-9100 (Brandon Location).